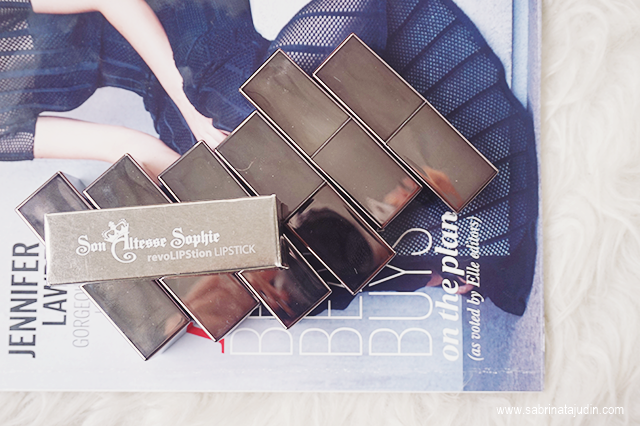 Son Altesse Sophie also known as SAS is one of Sophie Paris Makeup Line range. In this line they also have face product such as Luminizer, Foundation, blushes, eye products such as brow pencil and many more. Sophie Paris is direct selling company which offers wide variety of products from fashion to beauty products. Launch in Malaysia in 2012 and have been spreading widely nationwide. Their products can be purchase through their authorized registered members and outlets. Today I will be reviewing their RevonLIPStion Lipstick. 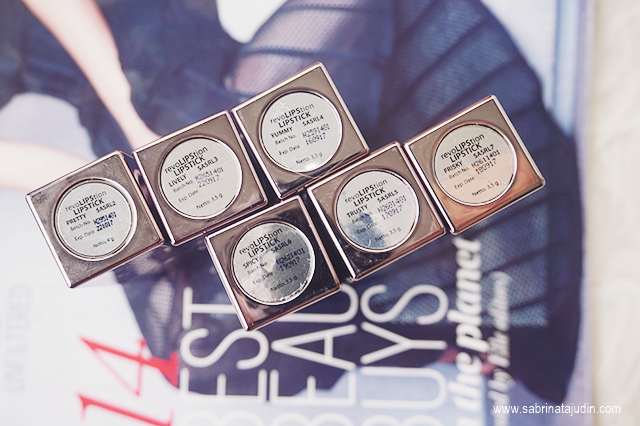 I have 6 shades with me here and let's get on to what I think about them. They come in this dark silver like packaging, and they look pretty sleek! It is describe as a Long-wearing, stay true color lipstick and glides on smoothly without the heavy feeling on the lips. 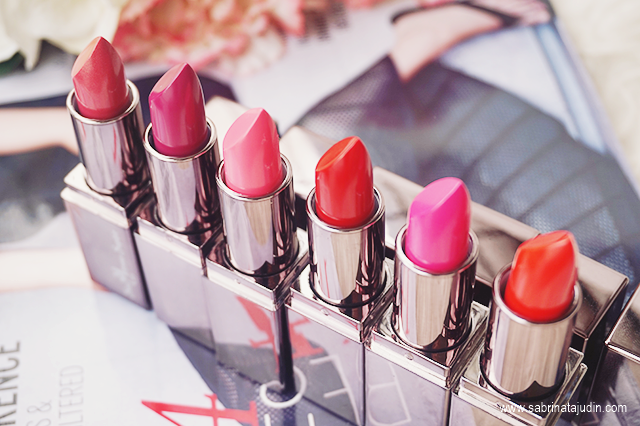 Maybe because of the what, one of the lipstick are already melted on the middle. As I swatch it, it already broke. 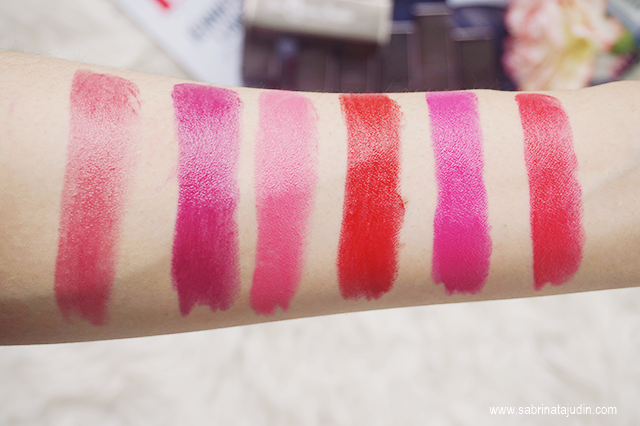 It is very creamy and does not feel drying on the lips. The color is true to what you see though the tube. 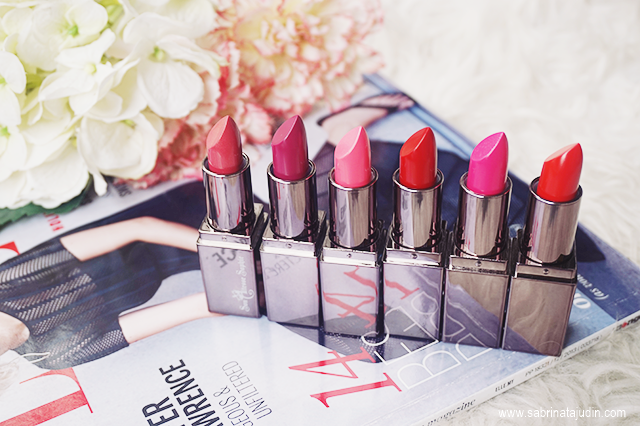 There is no overpowering scent to these lippies. Some of the shade are opaque in just one swipe and some are pretty sheer. The colors are pretty bright to my preference as I am into nudes and dark plumy shades right now. Would not normally rock these but they do look gorgeous.